George Monro Grant (1835–1902) was secretary to Sanford Fleming during the engineer’s survey of the route for the Canadian Pacific Railway. When British Columbia entered the Dominion in 1871, preliminary surveys for the promised transcontinental railroad began from east and west. After reading the preliminary reports, chief engineer Sir Sandford Fleming decided to travel overland to see the main features of the country with his own eyes. He took along his lifelong friend George Munro Grant. Grant’s book Ocean to Ocean (1873) opened the eyes of Canadians to the value of the country’s immense resources. 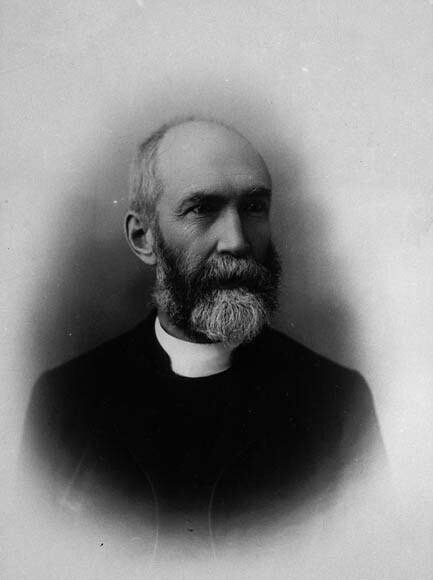 Born in Nova Scotia, Grant (1835–1902) was ordained as a minister in the Church of Scotland in 1860, and was made moderator of the Presbyterian Church in 1899. He was a charter member of the Royal Society of Canada, founded in 1882, and was president of that society in 1901.